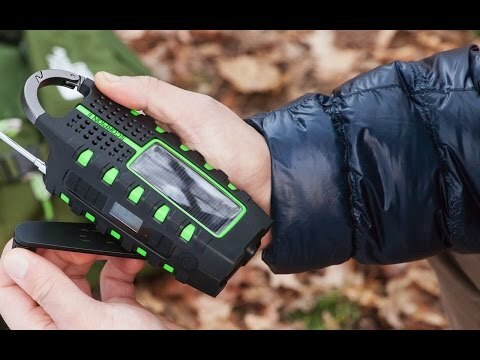 Stay informed and charged up during power outages with a rugged emergency radio that is powered by solar panel, rechargeable battery, or hand crank. 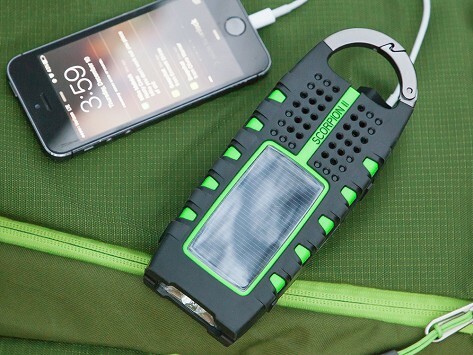 The splash-proof design boasts several other functional features, including a USB charger, LED flashlight, and the always essential bottle opener. Dimensions: 2.2" x 3.6" x 7.6"
Haven't had to use it, but it is definitely as advertised. Provides piece of mind. I bought this for a Christmas gift for my husband. I haven't tried it but it looks like a great product. This is the one device I always want with me in an emergency. It is very portable, efficient and solar powered. Although I hope I never have to use it, the Scorpion II works as advertised. It's especially handy to listen to a quick weather forecast.